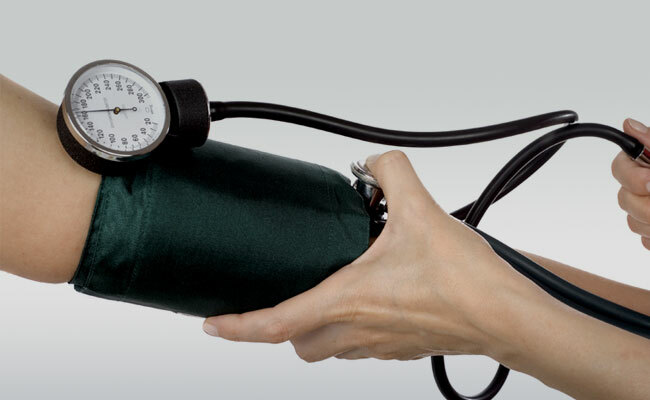 Don’t get freaked out when you are diagnosed with high blood pressure or hypertension. This might increase your blood pressure. It isn’t that scary a disease if you take necessary steps right from day one. It is possible to control high blood pressure, provided you make few changes in your lifestyle and diet. Weight reduction helps to keep your blood pressure at normalcy. In order to reduce weight, you need to stick to a diet plan. Here are few diet tips to help you deal with high blood pressure. Once you are diagnosed with high blood pressure it is highly necessary that you reduce the amount of salt intake in your food. Preserved food items such as noodles and sauces contain a high amount of salt in them. Avoid taking pickles. Meat and bacon are also rich in sodium. Canned veggies, cheese, and instant soups must be avoided when diagnosed with high blood pressure. It is a definite must that you need to avoid fast food and junk. Regular exercise is also one way through which you can reduce sodium from your body. Veggies and fruits are rich in potassium. Foods that are rich in potassium tend to reduce the effect of sodium in your body. Green leafy vegetables should be a major part of your diet plan. When you eat salads try seasoning them with pepper and olive oil. Avoid salt seasoning in salads. It’s advisable that you boil the veggies and then sauté them with few drops of oil. Veggies that are green in color, potatoes and yam are also rich in potassium. Apple and papaya are fruits that any patient can eat. Avoid fried food items like chips, fried rice, fish, chicken and the like. Try and forget French fries. Such foods tend to poison your body slowly. Boil the veggies and then sauté them with few drops oil. It is the best through which you can reduce oil in your daily food. Cheese and butter are not only rich in calories, but they also contain a high amount of salt in them. Say no to meat. It increases you blood pressure and also adds on to your body mass index. Simply put, it’s double the trouble! Research studies have proven that High fiber diet greatly helps in reducing your blood pressure. Fiber food is also preferred for weight loss. Juices are not advisable since they are fiber ridden. Bread again adds to your body weight. Atta rich foods with a lot of veggies can help reduce weight and blood pressure at the same time. Veggies, greens, fruits and cereals are rich in fiber. If you want to have a healthy life, then you should avoid junk foods. They contain high levels of cholesterol, salt and purely rid of fiber. Eating these foods is like storing garbage in your own body. Burgers, pizzas, and French fries are hazardous to your body. They not only increase blood pressure but also increase your cholesterol amount thus leading to heart attack, stroke, and kidney failure. When your blood pressure goes out of control, the first organ in your body to be affected is your kidney followed by other organs. By following a healthy diet plan, you are actually saving yourself from fatal diseases. Oatmeal and Cereal Foods that have preservatives in them like, pickles and sauces and instant soups. 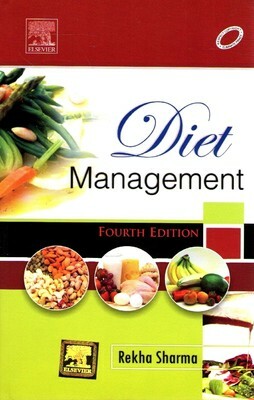 For detailed understanding of a perfect diet plan, Rekha Sharma’s DIET MANAGEMENT [Fourth Edition] will help you in following a healthy diet for a healthy lifestyle.